Hello hello hello and welcome to Friday Finance here on the Constructed Criticism network. This is part 3 of the Pro Tour Ixalan article series. This time we are going to be discussing the upcoming Iconic Masters release and well as the usual Promising Pickups, before ending on some quick thoughts about the recent Pro Tour. So without further ado, lets crack on. One of the biggest decisions players make when a Masters set comes out, is how many drafts to play and do you buy a box. Now the chances are I will be buying a box, but that’s because to me I have the added value of writing and potentially attempting to film it again. But to the average player, the value is likely not there to spend $200 and crack open a few boosters. If your cardboard crack itch is getting to strong, go buy yourself a box of Conspiracy Take the Crown. At least you stand a decent chance of making your money back. However, the box or drafts decision is one that you have to personally make. As long as you view it as entertainment, not a finance play, your good to go. Some of you may not want anything to do with this set what-so-ever and that is an equally valid view, but if you here me out for a few minutes I hope that I can change your mind. The mythic’s in this set are actually as a whole hot garbage. Mana Drain will likely end up at sub $100 and there are few others to write home about, but the rares. Oh baby are there some sweet rares. 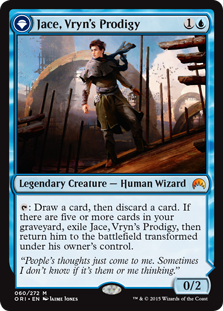 With cards like Grove of the Burnwillows, Horizon Canopy, Aether Vial all providing chances to hit some decent cards in a pack. There is potential to have some very exciting prize pack winnings. However, that’s not where the true money is. 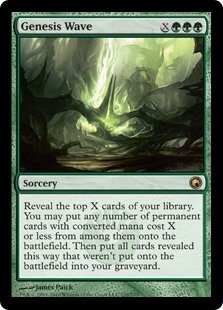 The first Modern Master’s is still viewed as the pinnacle of the Master’s sets. This is partially due to having a impressively fun draft format, but also that it was a certain money maker. That all came about from the commons and uncommons being actually worth something and in this set it appears to of happened again. 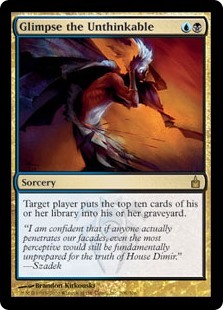 Now there isn’t as many of the $5 uncommons, but there are lots of commons and uncommons worth a dollar or two. So if you are unsure what you want to do with this set, not sure if it is for you, or just can’t afford to buy a box. Buy it’s bulk. Go round and offer to pick up draft chaff, so even buy drafts decks, paying near market on the bigger cards (which will likely rise again) and get the commons and uncommons thrown in. Those are the cards that in 18 months will be making you the money. Nickle and diming your way to big profits. Previously a standard all-star, it is just waiting to find a home in eternal formats. With the confirmed reprint in FTV Transformation, now is the time to go deep. Another Iconic Masters reprint that is always going to have casual demand. Again try and trade away standard cards for these, or pick them up cheap at the draft table. As this is the last article from the Pro Tour series, it is only apt that we mentioned the actual event. The event was one of the most engaging Pro Tours that I can remember watching, which is doubly impressive due to the fact that it was later in the calendar and the meta was more defined than usual. I think it’s a credit to the coverage that they can make almost any content interesting (much love to Rich Hagon, the unsung hero who stitches it all together). However, we can’t talk about the Pro Tour without also giving a shout out to Michael Hinderaker putting together a strong run at 10-6, but also the champion in Seth Manfield. That hug at the end… Iconic.